From the very early stages of initiating relationships to types of post-break-up behaviors, the internet has the potential to play an influential role in all areas of family and particularly couple relationships. This paper examines how ICTs (“information and communication technology”) can shape such relationships. The impact on the various stages of relationships is systematized (relationship development, couple and family formation, separation) with a special focus on intergenerational opportunities and conflicts associated with modern media usage. Against the background of psychological and media communication theories and psychotherapeutic approaches as well as empirical findings the following topics are considered: (1) Initiation of relationships through ICTs (e.g. meet new partners through online dating); (2) Impact of digital media on relationship development and existing partnerships (e.g. new opportunities and internet-related challenges that have to be faced by couples) (3) Influence of ICTs on separations (e.g. online mediation, getting divorced online). In summary, the role of ICTs in new, existing and separated partnerships and families is multifaceted. An outlook on further developments as well as research desiderata is given. Aretz, W. (2016). Match me if you can: Eine explorative Studie zur Beschreibung der Nutzung von Tinder. Journal of Business and Media Psychology, 1. Retrieved from http://journal-bmp.de/2015/12/match-me-if-you-can-eine-explorative-studie-zur-beschreibung-der-nutzung-von-tinder/. Bitcom (2015). Retrieved from https://www.bitkom.org/Presse/Presseinformation/9-Millionen-Deutsche-haben-Partner-im-Internet-gesucht.html. Brym, R. J., & Lenton, R. L. (2001). Love online: A report on digital dating in Canada. Report. Retrieved from University of Toronto, Faculty of Arts & Science: http://projects.chass.utoronto.ca/brym/loveonline.pdf, 2017/06/24. Döring, N., & Dietmar, C. (2003). 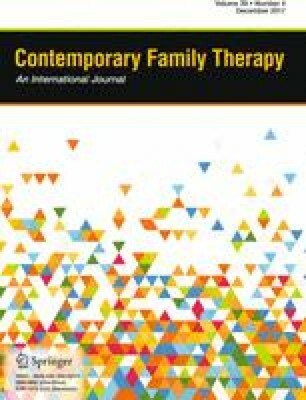 Mediated communication in couple relationships: Approaches for theoretical modelling and initial qualitative findings. Forum Qualitative Social Research FQS, 4(3). Retrieved from http://www.nicola-doering.de/wp-content/uploads/2014/08/D%C3%B6ring-Dietmar-2003-Mediatisierte-Paarkommunikation.pdf. Finkel, E. J., Eastwick, P. W., Karney, B. R., Reis, H. T., & Sprecher, S. (2012). Online-dating: A critical analysis from the perspective of psychological science. Psychological Science in the Public Interest, 13, 3–66. doi: 10.1177/152910061243652. Retrieved from https://www3.nd.edu/~ghaeffel/OnineDating_Aron.pdf. Geser, H., & Bühler, E. (2006). Partnerwahl online. Retrieved from http://socio.ch/intcom/t_hgeser15.htm. Gramatikov, M., & Klaming, L. (2011). Getting divorced online: Procedural and outcome justice in online divorce mediation. TISCO Working Paper Series on Civil Law and Conflict Resolution Systems. doi: 10.2139/ssrn.1752903. Retrieved from https://ssrn.com/abstract=1752903. Handel, M. J., & Shklovski, I. (2012). Disclosure, ambiguity and risk reduction in real-time dating sites. GROUP’12 Proceedings of the 17th ACM international conference on Supporting group work (pp. 175–178). doi: 10.1145/2389176.2389203. Rosen, L. D., Cheever, N. A., Cummings, C., & Felt, J. (2008). The impact of emotionality and self-disclosure on online dating versus traditional dating. Computers in Human Behavior, 24, 2124–2157. Retrieved from http://www.csudh.edu/psych/+FINAL%20ONLINE%20DATING%20ARTICLE%20IN%20PRESS%20VERSION%20-%20Rosen,%20Cheever,%20Cummings,%20Felt.pdf. Statista (2015a). Retrieved from https://de.statista.com/statistik/daten/studie/511468/umfrage/anteil-der-online-dating-nutzer-nach-geschlecht-in-den-usa/. Statista (2015b). Retrieved from https://de.statista.com/statistik/daten/studie/76504/umfrage/anzahl-der-nutzer-von-online-dating-boersen-seit-2003/. Statista (2016). Retrieved from https://de.statista.com/statistik/daten/studie/510944/umfrage/bester-weg-einen-partner-eine-partnerin-fuer-eine-langfristige-beziehung-zu-finden/. Weinstein, A. M., Zolek, R., Babkin, A., Cohen, K., & Lejoyeux, M. (2015). Factors predicting cybersex use and difficulties in forming intimate relationships among male and female users of cybersex. Frontiers in Psychiatry. doi: 10.3389/fpsyt.2015.00054. Retrieved from http://journal.frontiersin.org/article/10.3389/fpsyt.2015.00054/full.